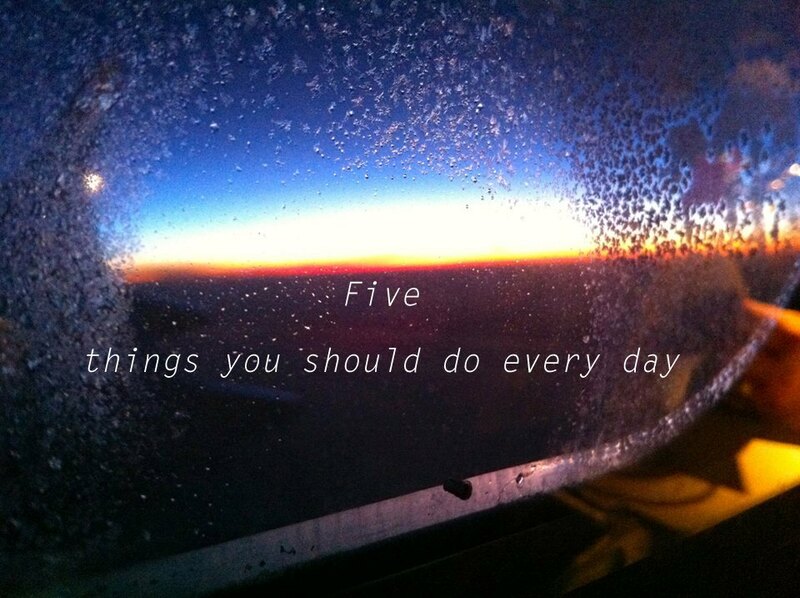 Today I am sharing five things I do every day to make my day a little brighter. Every day isn’t great, but you really can make great in every day. It’s kind of like flicking on the light switch for my body. I once watched a video where the person talked about showing gratitude to your bank account when you pay bills. You’re supposed to sign into your online banking and be thankful for the money you have and be thankful for the money you’re spending on bills so you can live. If you sign on and dread the amount in your account it’s going to always feel like a negative task. I’ve taken that routine out of just my financial state and have brought it into my life in general. With everything I do I try to show gratitude. I’m grateful for the coffee I am drinking right now, the friends I’m about to see at work, the companionship I have with my pet when I come home and I’m grateful that I have a home. Showing your food gratitude is also something I am trying to do more. Instead of just eating mindlessly, why not sit and actually enjoy the food. While you chew be mindful of the tastes, textures and how you’re feeling while you’re eating that certain food. It’s something so many people don’t do, but showing gratitude to even the littlest things will help you realize how many amazing things are happening all around you. One of the things I have noticed about living away from my family is that my family hugs A LOT and I LOVE it. Whenever I am in Ontario with my family as soon as I go somewhere with family I get a hug hello and before I leave I get a hug goodbye. It’s one of the smallest things, but honestly one of the most important things in my life. I love hugs and I love giving hugs. A simple five second embrace will lift you up and will also lift the person you’re hugging up. It’s a small way to brighten your day and also get the feeling of love flowing through your body. I’m so lucky that the friends I have met in Kelowna put up with my hugging. I try to give a hug hello and always a hug goodbye. This goes hand in hand with hugging. Sharing how you feel will ultimately give you a release and will boost someone else up at the same time. Giving out compliments, sharing how much you appreciate a friend, telling them you love them and what they do is a must. Every single day I try to let my friends and family know how much I love them and how lucky I am to have them. Last night I got a text from a lovely friend I met here about how happy she is that we met. Instantly when I read that message I felt full. It made me realize how many amazing friends I have met here. This is something I am currently working on and I think it could be an important item for everyone. I am in the middle of making my bedroom a sanctuary where no technology is allowed in. I want my room to be a peaceful spot where I can go to unwind. I don’t want to allow my laptop in my bed or my cell phone. I don’t want food in my room either. My room is a place of mindfulness and peace. It’s where I go to relax and to sleep. It’s full of candles, cozy blankets, crystals, pictures, artwork and anything I feel benefits my mental state. Let me know what you do every day to brighten up your 24 hours. I would love to add more to my routine! Create a life that feels good on the inside, not one that just looks good from the outside. I absolutely love this post! Sharing it on my social channels 🙂 Showing gratitude is SO important! I think making your room a sanctuary is such a great idea! +1 about making your room a sanctuary. I’m also still working on it. I left my phone far away from my bed and I found myself sleeping easier! What a great list. Such positive things 🙂 I suppose I’ve done each of those today! Awesome! !